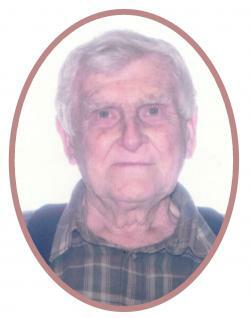 Lincoln Fenton Langille, age 88, of Lower Cornwall, Lun. Co., passed away December 11th 2018 at South Shore Regional Hospital, Bridgewater. Born in Lower Cornwall, he was a son of the late Charles Edwin and Albertina Freelove (Aulenback) Langille. In his earlier years, he worked for the Mersey in Tantallon and drove trucks for his uncle, Charles Aulenback. In the late 60's he became self employed. Cars, trucks and tractors became his choice of work. Everyone who knew him, knew he was a “Real Dodge Man”. He always took time to be with family. Lincoln is survived by two sons, Fenton (Lillian), Bridgewater; Jason (Michelle), Bridgewater; three daughters, Ravenna (Allan) Tufts, West Dublin; Celeste Langille (Blaine), Middle Cornwall; Nadine Barkhouse (Kevin), Pleasantville; grandchildren, Marjorie, Katherine, Stephen, Samantha, Adam, Rebekah, Fenton and Lecrissa; great grandchildren, Joshua, Jacob, Meghan, Alyssa, Kyle, Shaylyn, Natalie, Nicholas, Nicole, Adain and Kaylee; nieces and nephews. He was predeceased by his wife, Pauline “Annie”; infant son, Dagon; brothers, Ivan and Keith. Visitation was held 7:00pm to 9:00p.m., Tuesday, December 18th 2018 in Mahone Funeral Home, 32 Parish St., Mahone Bay.
" A GRAVESIDE SERVICE WILL BE HELD 11:00 A.M., MONDAY, APRILL 22, 2019 IN THE OLD BLOCKHOUSE CEMTERY, BLOCKHOUSE " - Rev. Adam Snook officiating. The family has requested memorial donations be made to Heart and Stroke Foundation of Nova Scotia; Canadian Cancer Society; Garden of Rest Cemetery (Old Blockhouse Cemetery) or New Cornwall Memorial Gardens. The car illustrated is a 1950 Dodge.